Samsung's upcoming Galaxy S9 and Galaxy S9 Plus will reportedly copy one of the iPhone X's most popular new features: Animoji. 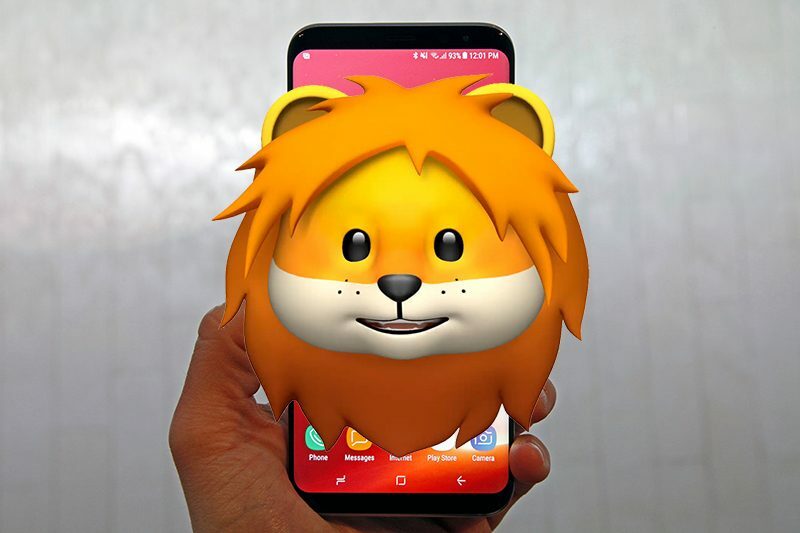 Korean website ETNews claims the flagship smartphones will have a new 3D emoji function that is "more advanced" than Animoji. Like on the iPhone X, users will be able to choose from various 3D characters, including animals, that mimic facial movements as tracked by the Galaxy S9's facial recognition sensors. Samsung should reveal the name of its Animoji competitor when the Galaxy S9 and Galaxy S9 Plus are unveiled at Mobile World Congress on February 25. Many details about the smartphones have already leaked, including entire images of the devices shared by Evan Blass, hinting at many features that can be expected. While rumors suggest the next major version of Android will include support for smartphones with a so-called notched design, like the iPhone X, it appears that the Galaxy S9 and Galaxy S9 Plus will retain slim bezels along the top and bottom of the display for the front camera, microphone, and sensors. 3D emojis will be powered by the Galaxy S9's facial recognition system, which is expected to remain less secure than Face ID on the iPhone X. Other biometric options will include a rear fingerprint sensor and an iris scanner. Samsung is rumored to release the Galaxy S9 and Galaxy S9 on Friday, March 16, with pre-orders expected to begin about two weeks prior. Samsung's famous R&D department in action: Receive & Duplicate. I love it how the firms always flame Apple for making "useless","ugly" stuff/choices, but then copy them. Ugh, is this really where we are in technology? Something as dumb as animoji is such a huge headlining feature that everyone copies it and it makes headlines? Let's get real. Animoji is something that most people use once or twice, get sick of the gimmick, then never use it again. I guess people got sick of "oh look, they used a different color paint this time! ", so they had to come up with something else equally mundane. I’m sure they’ll use it just as little as I do on my X. Wait a minute, apple didn't create this. Apple copied this from what was already being done in the MOVIE industry. Apple was just the first to add it to a phone. Did I wake up in some dystopian future? This is the point of spending $1,000 on a phone and paying $200/month ($2,400/year) for stupid cartoon faces? Yikes! Is there any tech out there that does something useful anymore? Isn't Apple still being sued by the Japanese company that owns the Animoji trademark? Samsung would be foolish to copy a company already accused of copying the original copyrighted idea. Look further into the differences in copyrights and trademarks (and patents). A copyright protects a final product, be it words, art, photo, or video. A trademark protects logos, slogans, and the like. Patents protect implementations and how something is achieved. Apple is being sued for using the trademarked word "Animoji", not for making animated emoji.